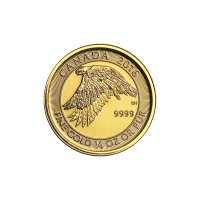 Pièce d'or Faucon des neiges canadien 2016 de 1/4 d'once Purchase your ¼ oz 2016 Canadian Snow Falcon gold coin today and enjoy the best price around, only from our online store. 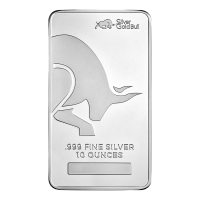 This coin is the 4th edition in RCM's bespoke series, featuring the fascinating and beautiful animal species of the Canadian Arctic. 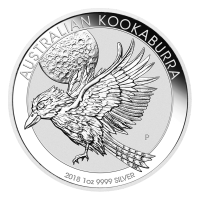 The unique reverse design comes to us courtesy of Steve Hepburn and depicts a majestic Snow Falcon in mid-flight, wings stretched to their downward extent, as if the bird is about to swoop upon its next, unexpecting prey. 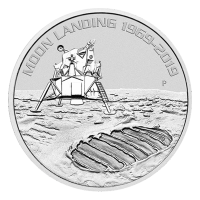 The coin boasts a wide border with its own, light catching field of radial lines which extend around the coin's edge to dazzling effect; you'll also find the coin's purity, content, weight, country of origin and year of issue on the reverse. 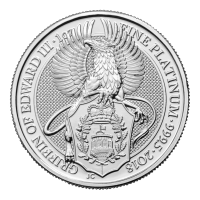 The obverse design employs the same, striking, micro-engraved radial lines, this time taking up the entire field, upon which Susanna Blunts stately effigy of Elizabeth II is set in crisp and detailed relief. 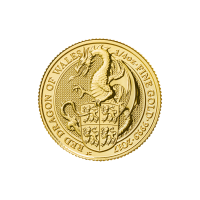 Also on the obverse, Elizabeth II's formal title, as well as the coin's unique denominational value. 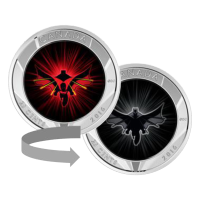 The Snow Falcon's unique wing shape allows it to reach speeds sometimes in excess of 60mph and those wings are depicted in all their glory on the unique reverse design of this dazzling coin. 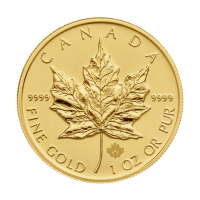 Celebrate the rich fauna of the beautiful Canadian Arctic and fortify your holdings with a ¼ oz 2016 Canadian Falcon gold coin today.